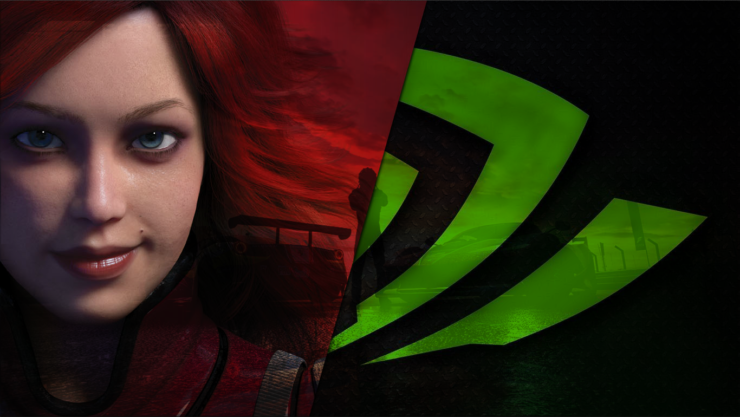 Things are starting to heat up as one of the most senior officials on the AMD payroll went out to publicly call out the increasingly infamous NVIDIA GeForce Partner Program and levy several accusations at its competitor. Scott Herkelman is the Vice President and General Manager of Radeon Gaming over at AMD and he lashed out on twitter after meeting with reselllers of AMD products. In times like these it becomes increasingly difficult to let rational thought prevail and keep a cool head so I will take this oppurtunity to emphasize on why this is one of the bigger developments so far. NVIDIA GPP is a marketing program that the company published on their website for quite some time now. While discussions on whether or not what they are doing is ethical and whether we should let the market decide for itself will go on, it is important to parititon the allegations into two distinct categories. 1) the unethical and unsavory practices and 2) the downright illegal ones. So far, we have heard and tell of the first portion. The first portion operates under the idea that the company is managing its own marketing channels and within it, can enforce its own regulations as long as the discrimination against Radeon products is done, well, without discrimination. The second portion contains things like MDF and allocations – which are illegal. To put it in simple terms, they can enforce ‘Dont sell Radeon products in the same marketing brand as ours’ but they cannot legally enforce ‘Dont sell Radeon products and we will give you $$$ as an MDF in return for it, and if you decide to do so anyways, we will withold chip allocation.’ This is what makes these tweet of Mr. Scott so potent. Together we can work to ensure that we give gamers what they truly deserve — freedom of choice. These words contain the very serious and consequential allegation of MDFs (marketing development funds) and allocation – which is allegedly part of the wider NVIDIA GPP program and is almost certainly illegal. It is clear that AMD is mounting pressure on its competitor and hoping to find a smoking gun but proceedings and cases like these can take well into the better part of a decade to resolve. Scott apparently talked to various resellers at AMD Sales event this past week and and alot of them expressed concerns about NVIDIA crippling their ability to market and/or sell RADEON branded products. We have already seen major bands like MSI drop the Gaming branding from AMD products and even heavy weights like ASUS have decided to shift Radeon to new homes like the AREZ series – so it is clear, that some very powerful ‘inctives’ are at play to make these companies change their long established paradigms and disrupt old branding strategies. Most of the contracts for GPP have been signed and if the company’s own statements are to be believed they have the wide majority of players already in the contract. This is one of those things that are going to take years in court before any conclusion is reached and anything is proved. Regardless of what happens though, this is going to be sure to turn a lot of attention NVIDIA’s way now. The primary problem with the program is the apparent disconnect between the written and the unwritten. GPU dies are scarce, it is not like there is an abundance to go around and NVIDIA can choose who to allocate its product to. We have already seen examples of this before (where NVIDIA would only hand out the high end GPUs to AIBs if the AIB in question had sold a set quantity of low end GPUs first – usually an order of magnitude larger) so it is clear that there is some history of priority allocation – whether or not such an allocation is written down anywhere. Of course there are such things as IHV exclusive brands, such as Sapphire – but the key there is disclosure. If OEMs do not disclose the fact that they are only offering NVIDIA GPUs and give the illusion that they did so because it was the highest performing tech (regardless of whether it actually is or not) – then it leads to consumers being hurt. My own failed attempts at trying to get someone to talk did tell me this much however: all but a few OEMs have been signed on. In fact, the number of OEMs that hadn’t agreed to the GPP program could be counted on one hand. Its also worth noting that when I talked to them, NVIDIA stated that there are no lock-in contracts and all OEMs are free to leave the program anytime they want. The legality of the program as it stands is something I will not comment on, with details so hazy right now, but I will ask this: would you choose an OEM brand that you know has aligned exclusively with NVIDIA, or would you prefer to retain the choice of choosing your favorite vendor?